When I open a poetry unit, I'm always hoping to catch my students by surprise. Make them realize they like poetry before we even open our poetry books. That way, their minds are open and I have a chance to help them fall in love with some of the great canonical poets. 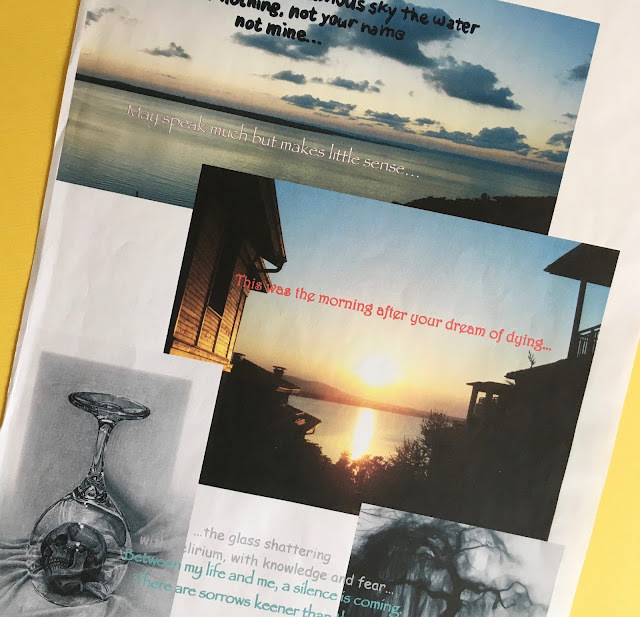 One of my favorite openers is to have students create a poetry collage using striking images they find in modern poets' work. I send them on an online journey through Billy Collins' beautiful project, Poetry 180: A Poem a Day for American High Schools. I give them the instructions for the poetry collage in advance. As they dive into the poems online, they search for six different striking lines or images within the poetry. They write down the lines, as well as the authors and titles. 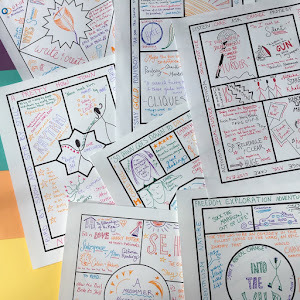 Their eventual goal is to combine those lines together with their own linking words and with related visuals of their own creation or curation. I love to see what they come up with. The final poems are always unexpected, and the art helps to highlight the meaning. We usually spend just one day on these, as a unit opener, but you could easily give it much more time if you wanted to require the students to use original art. You could give them an artistic workshop day and suggest different mediums like collage, photography, painting, sketching, calligraphy, etc. When the students bring in their final collages, spend a little time having them view and respond to each other's work. Then put the collages up for a beautiful visual display during your poetry unit. Looking for other ways to use the collage concept? 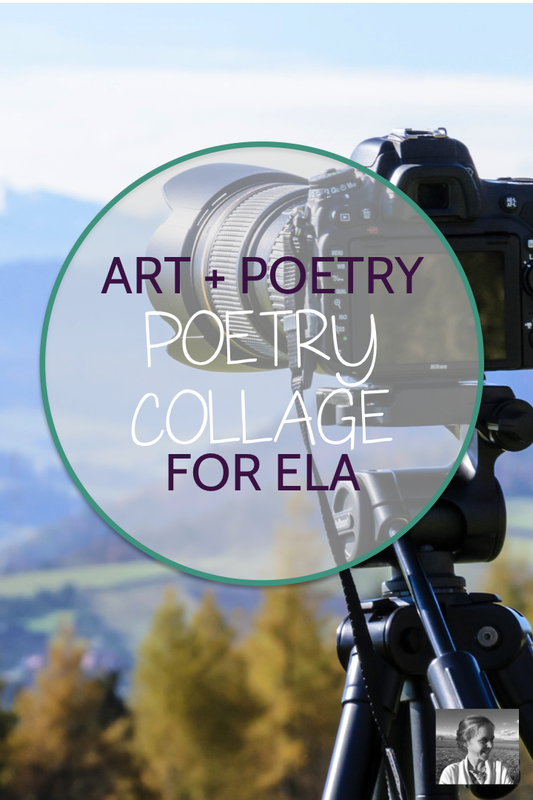 Invite students to create poetry collages out of their own original work at the END of a poetry unit, combining artwork with lines from their own poems. After a writing workshop, put students in groups and let them each share their favorite original line, then create collages from the group fragments. Ask students to create a poetry collage based on the work of one poet you are studying intensively, using artwork (original or found) that reflects key themes or even the biography of that poet. Invite students to use the online image tool Canva to create digital collages, then send them to you so you can create a class collage slideshow to play during a parent open house, poetry slam, or other school event. 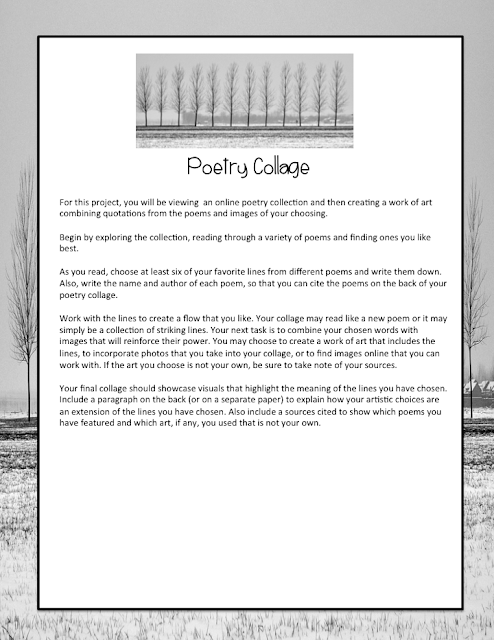 I hope you enjoy trying poetry collage with your students! 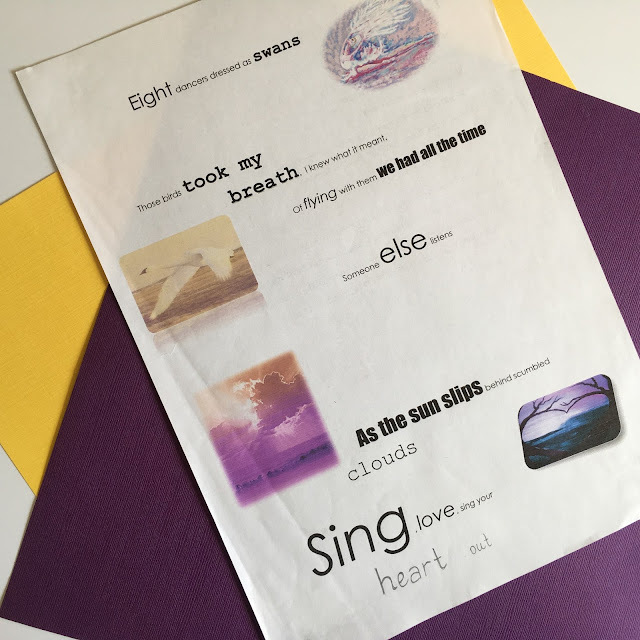 If you'd like the full poetry collage handout prepared for you, you can find it here. Looking for more creative classroom ideas? Check out The Spark Creativity Teacher Podcast, ready to help you innovate in the classroom no matter HOW busy you are. Learn about genius hour, choice reading, escape rooms, and much more through your earbuds during your workouts, grocery shopping trips, or classroom clean-ups.